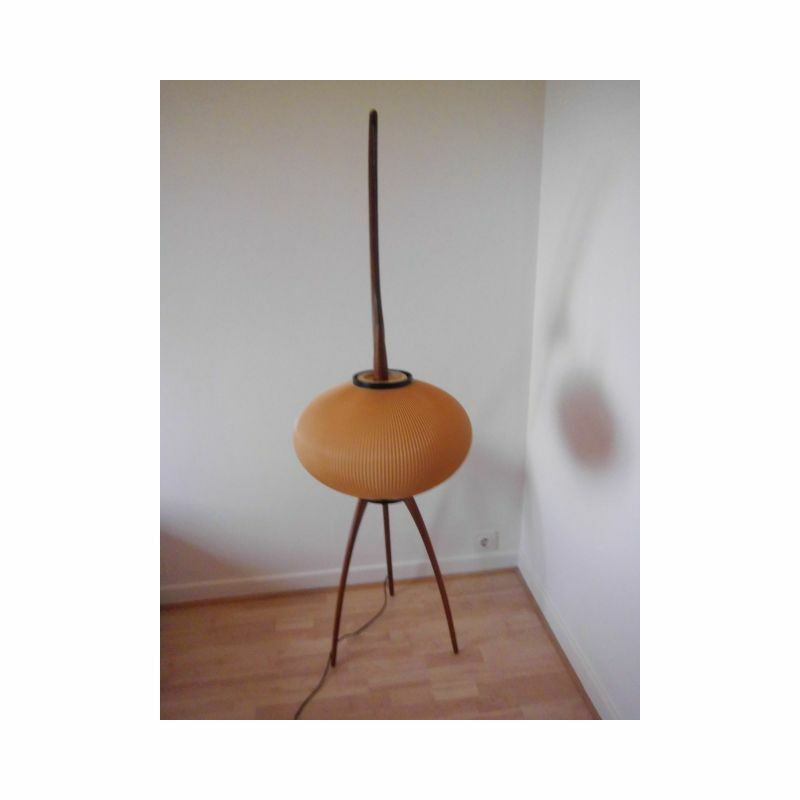 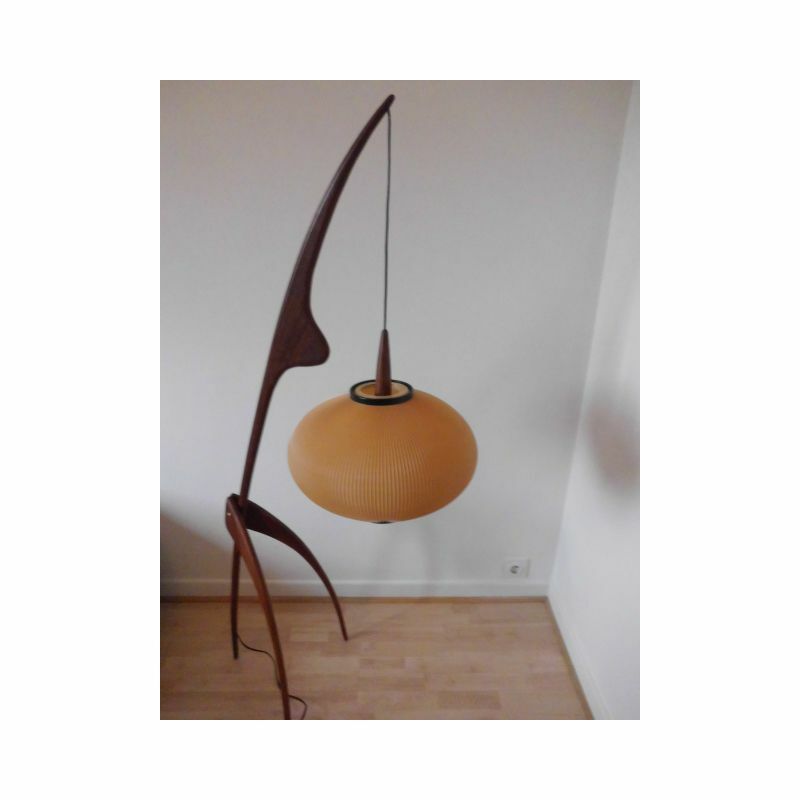 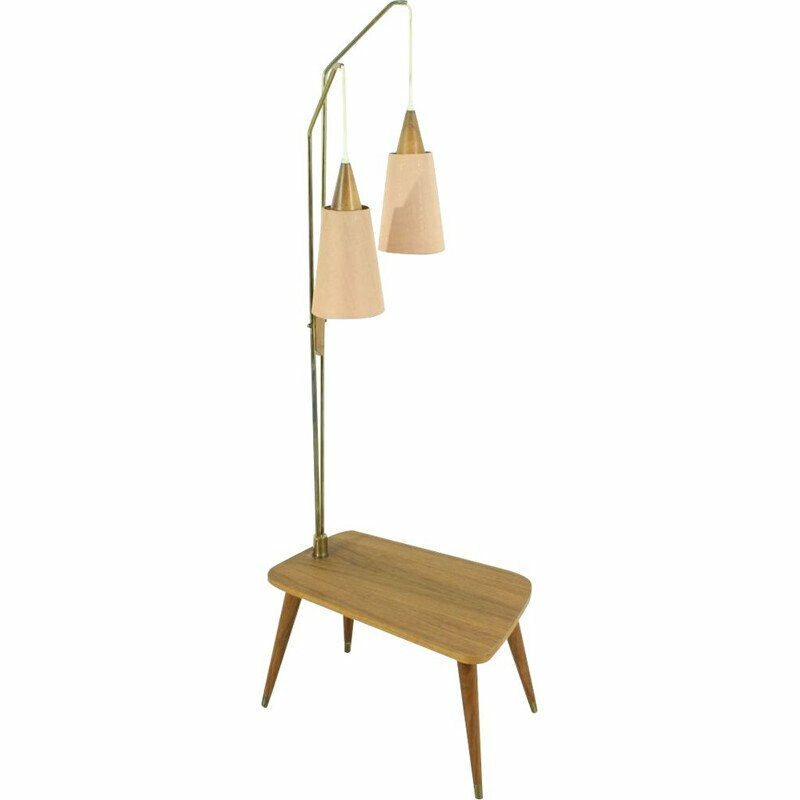 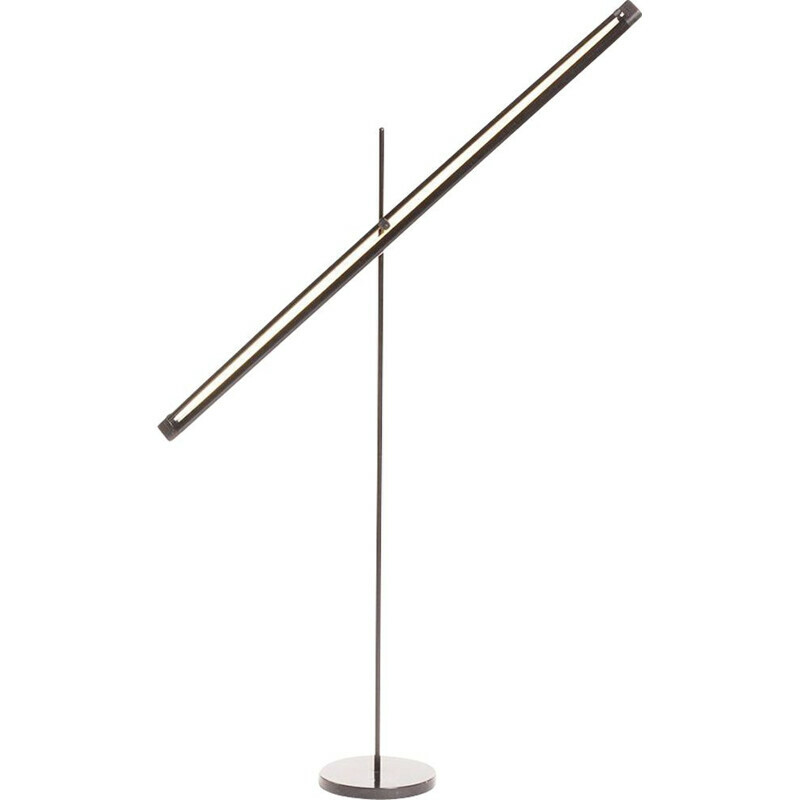 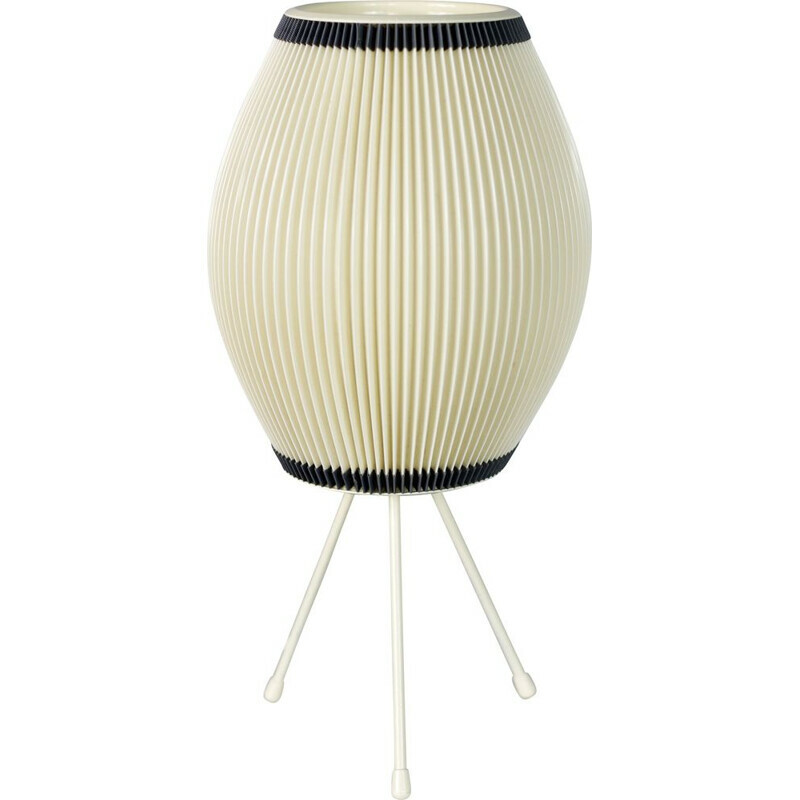 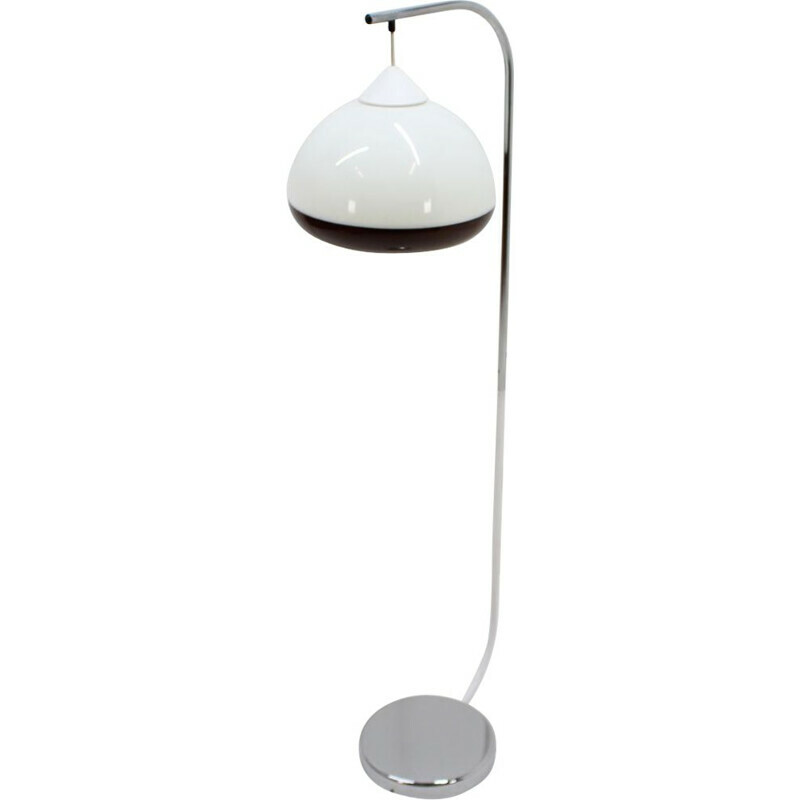 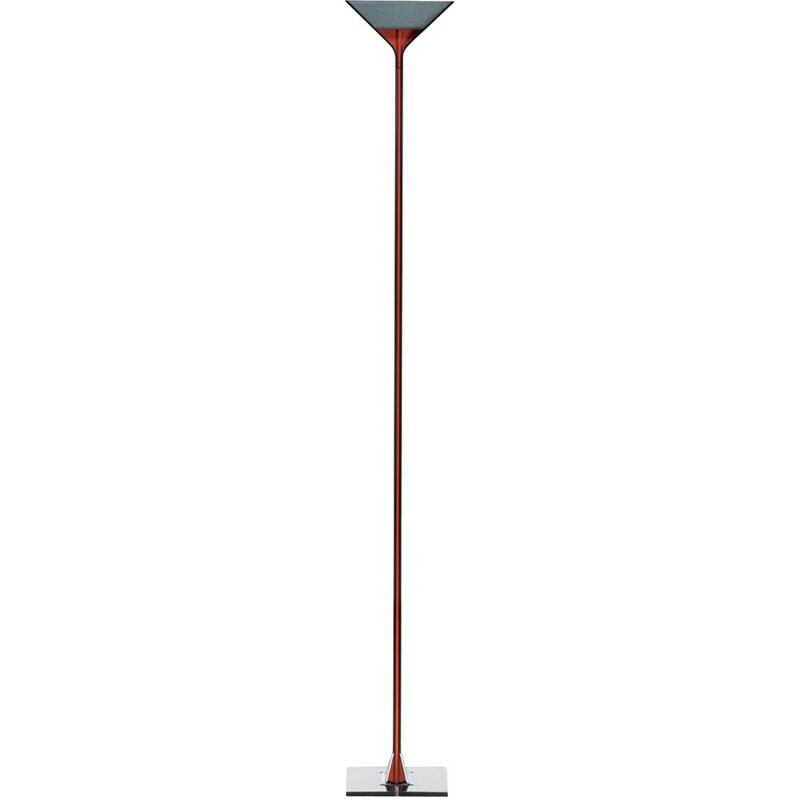 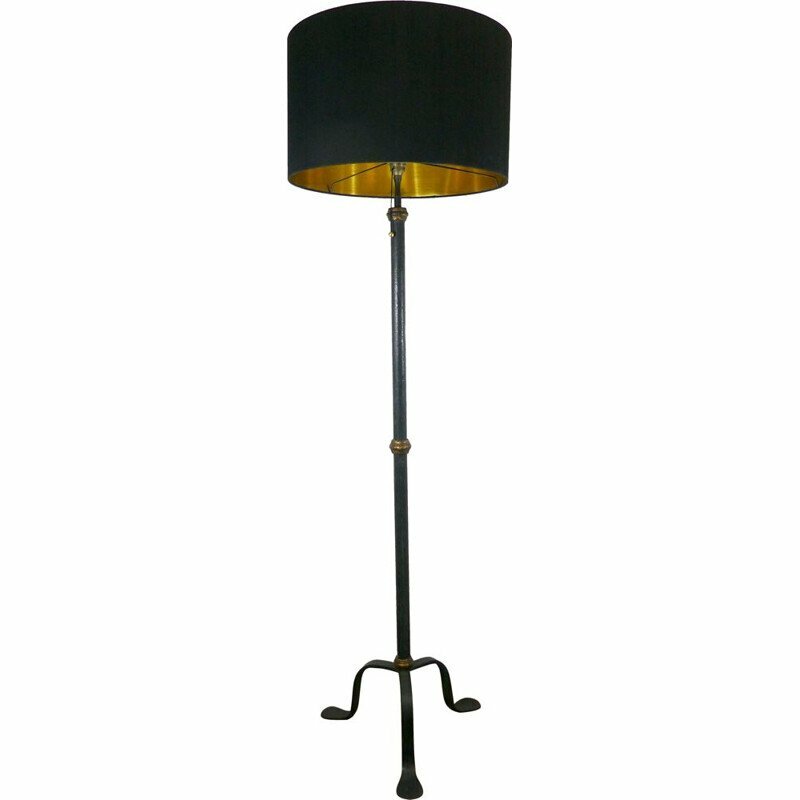 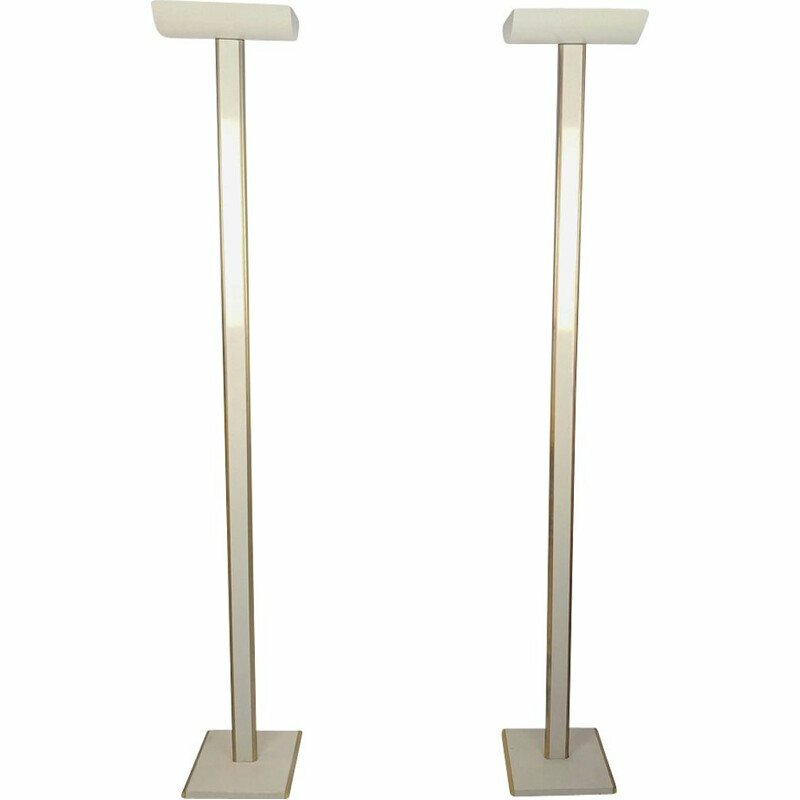 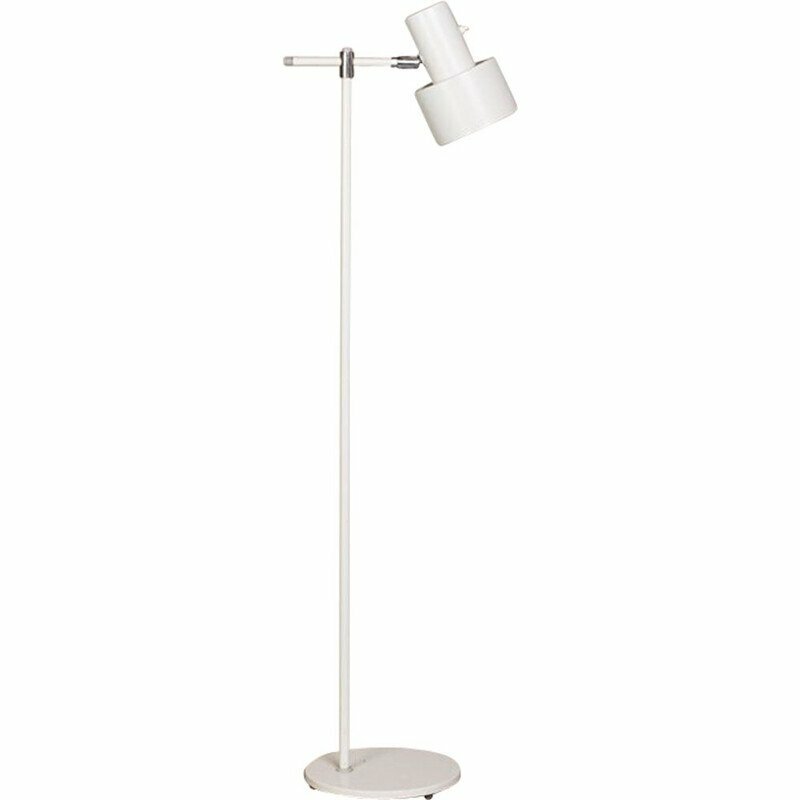 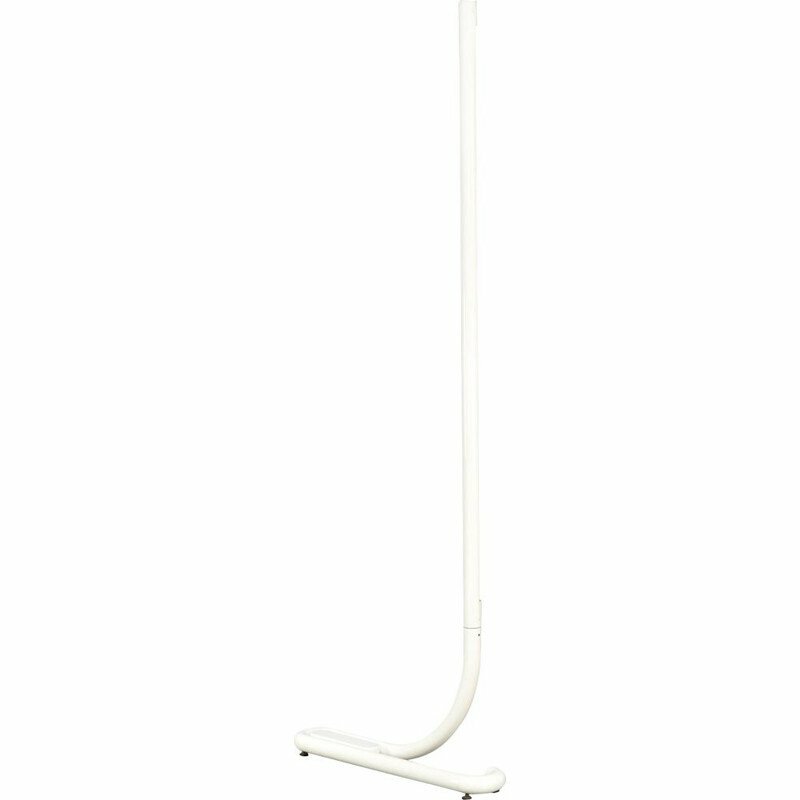 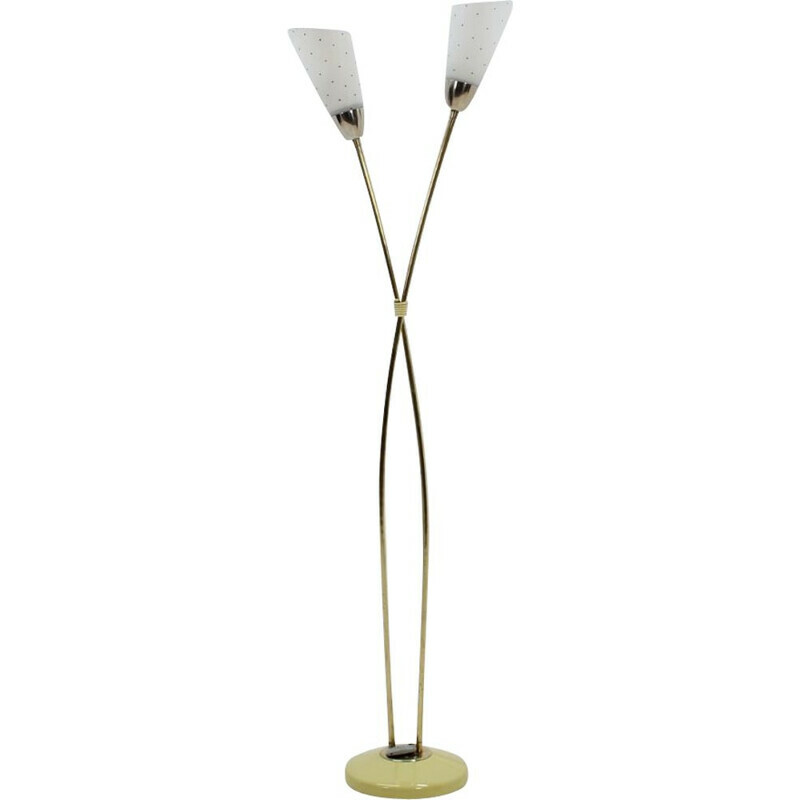 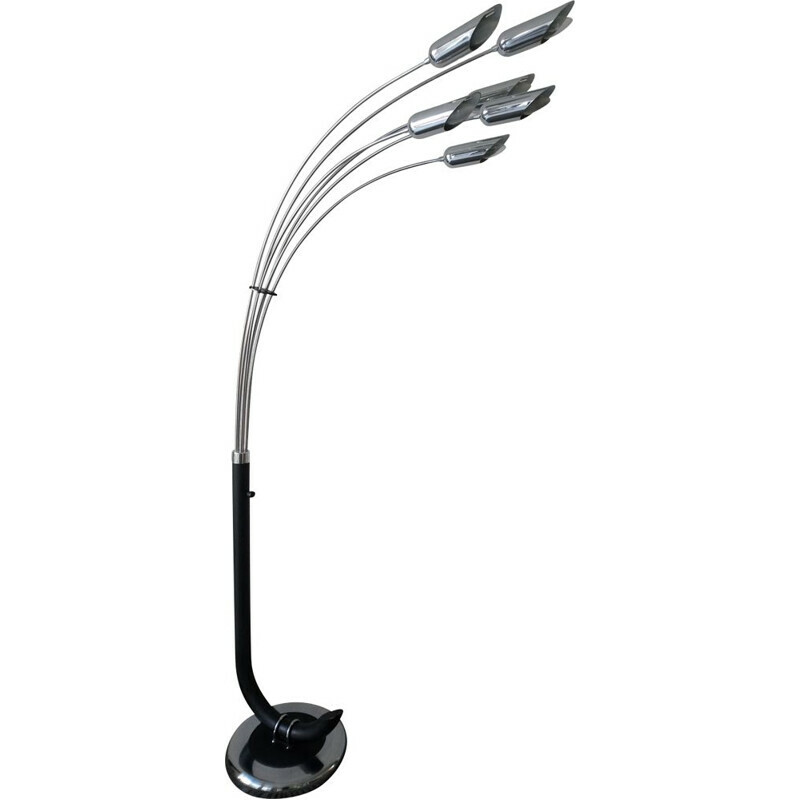 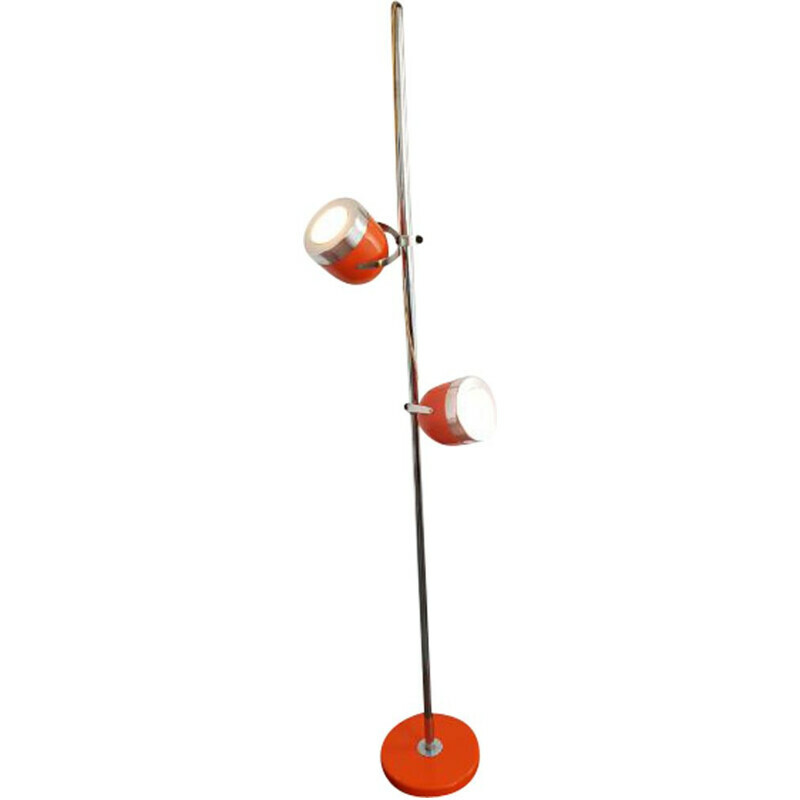 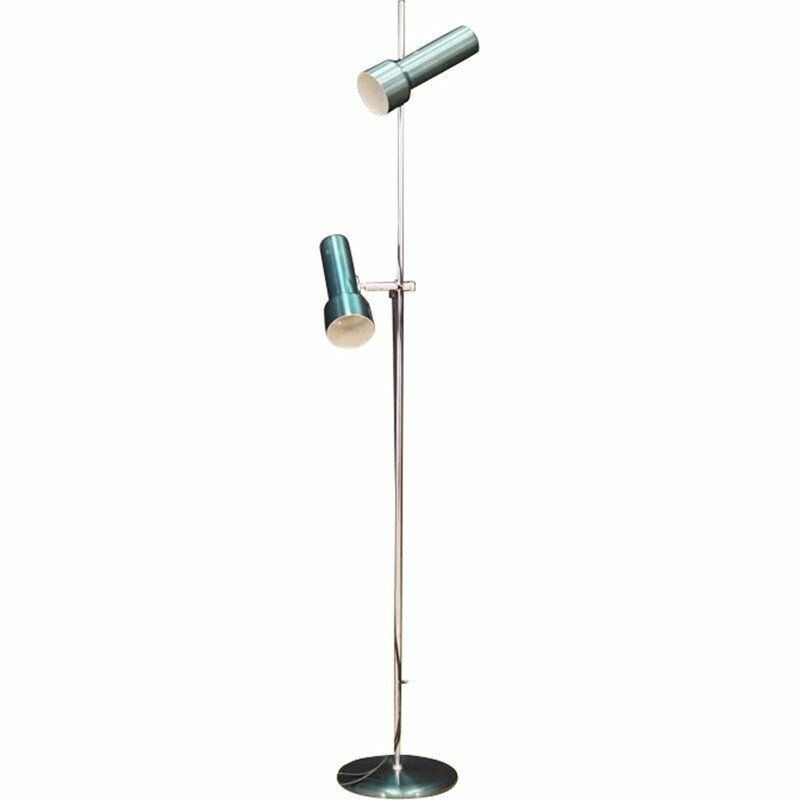 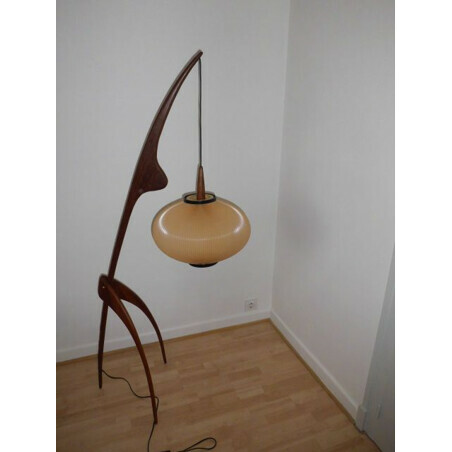 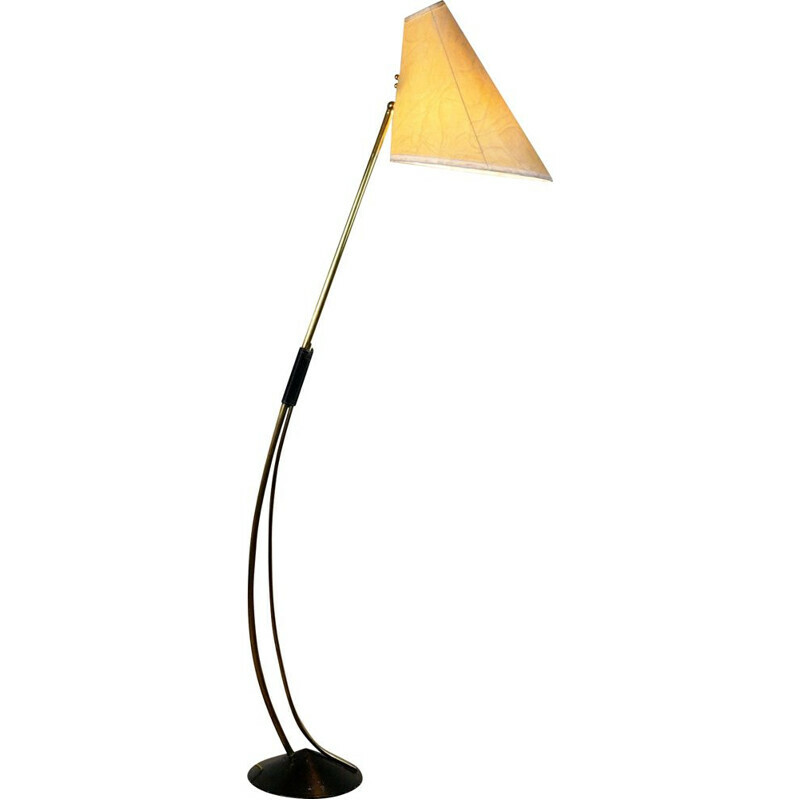 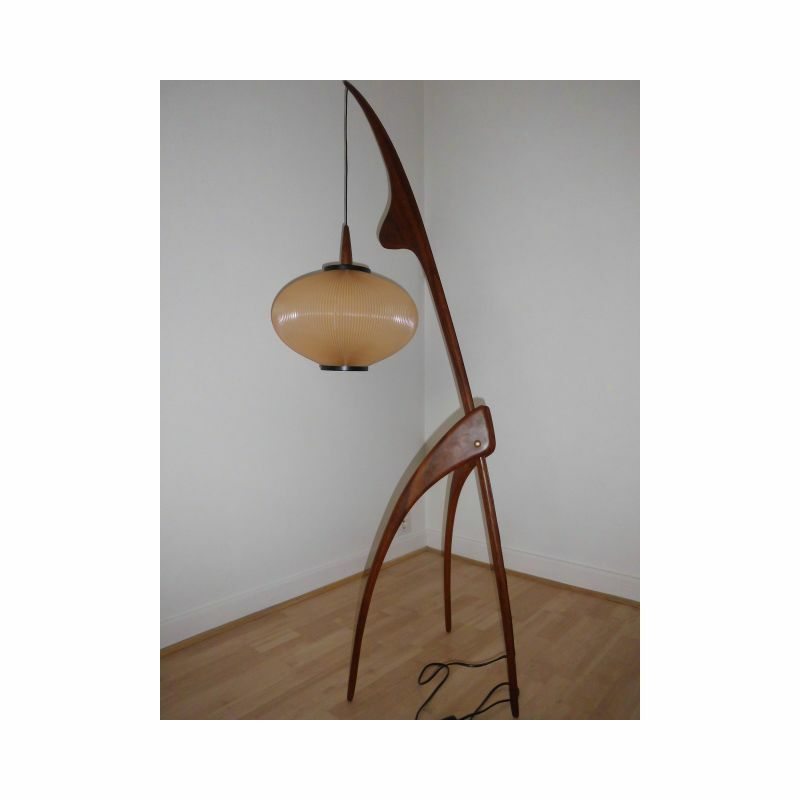 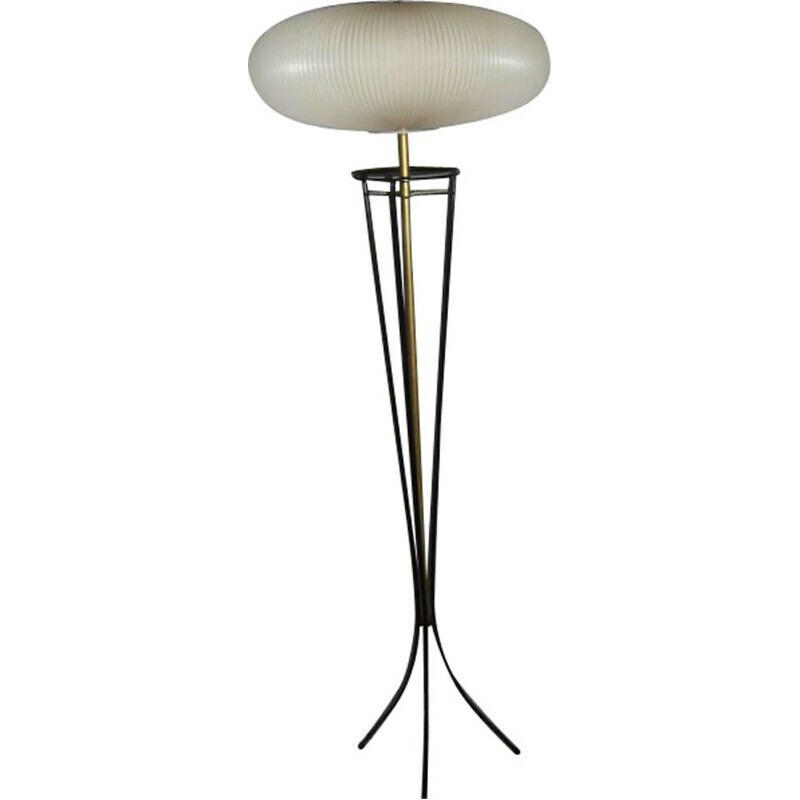 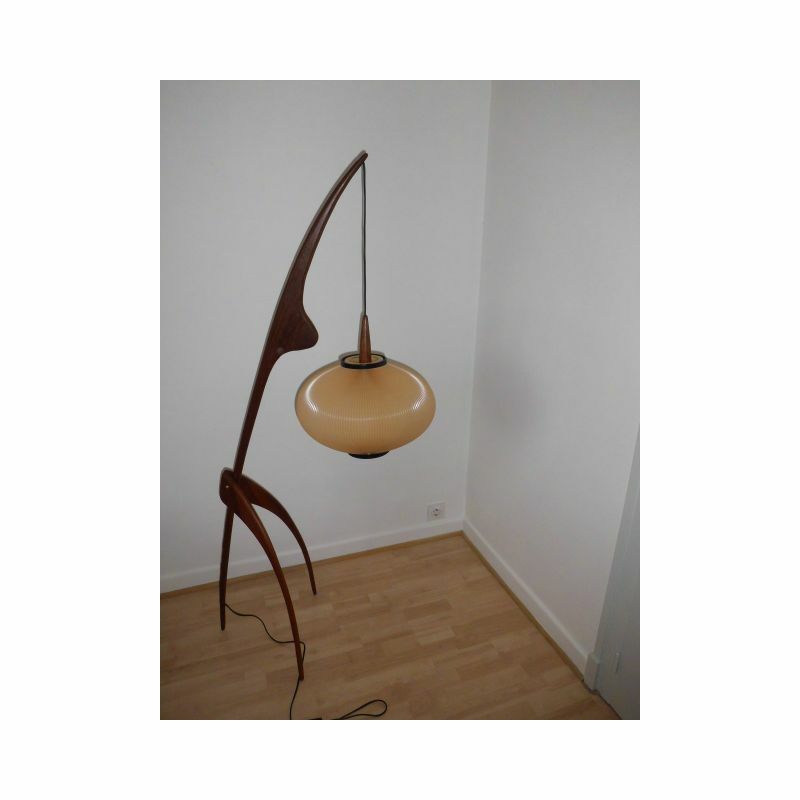 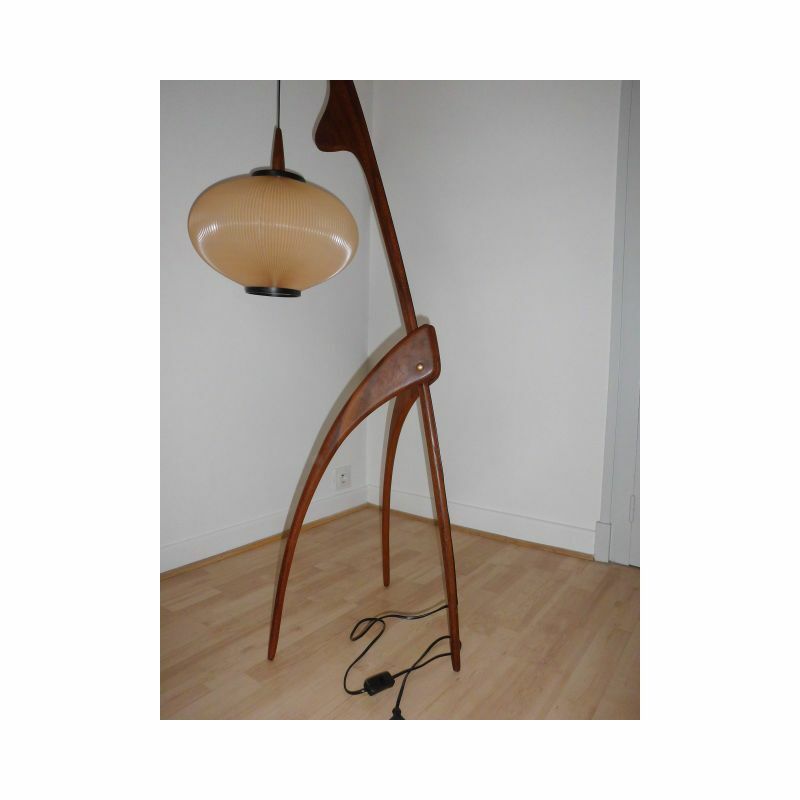 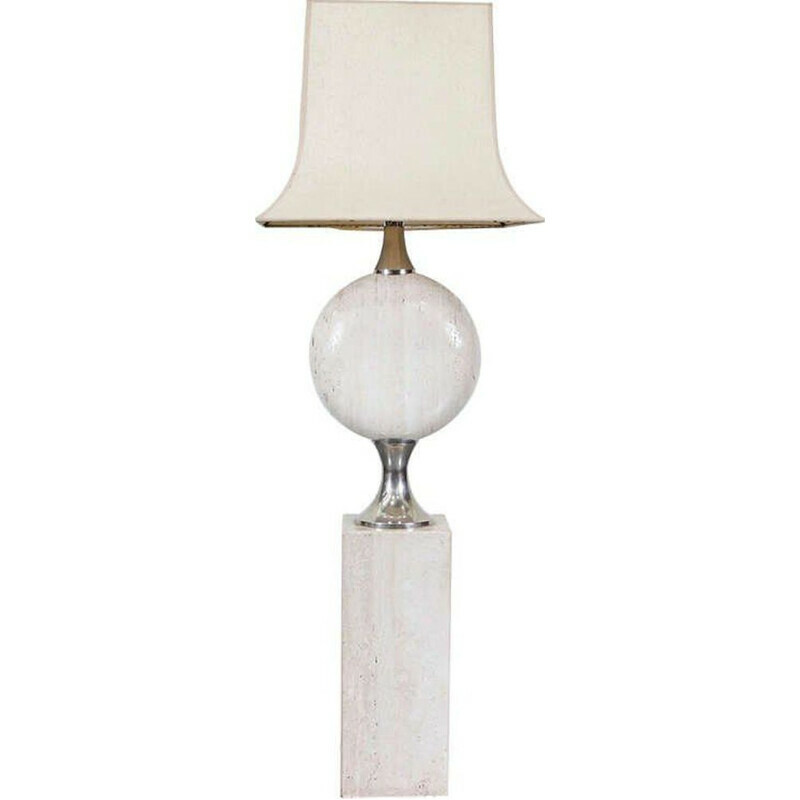 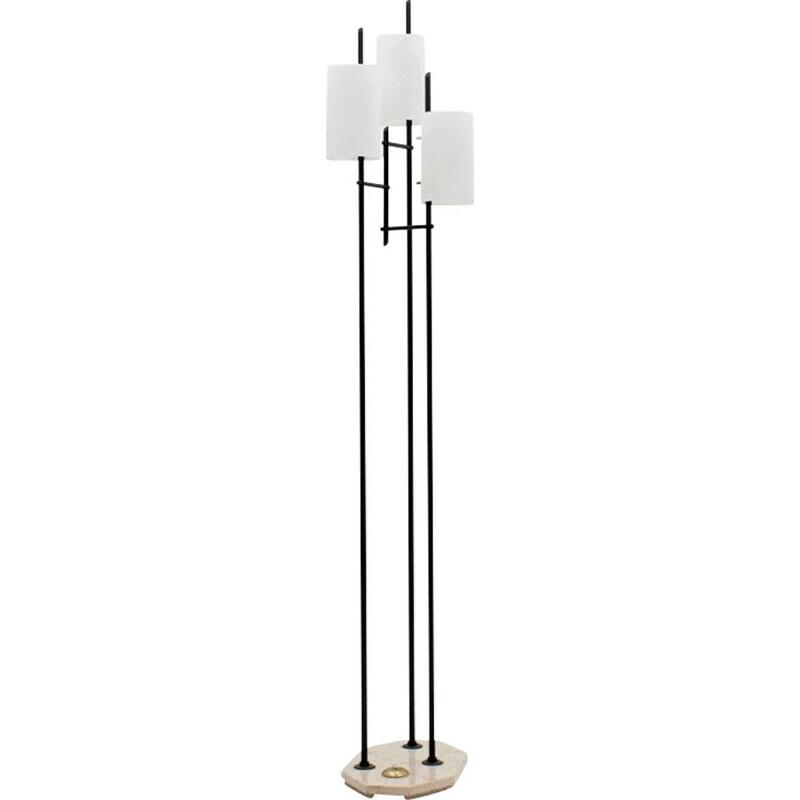 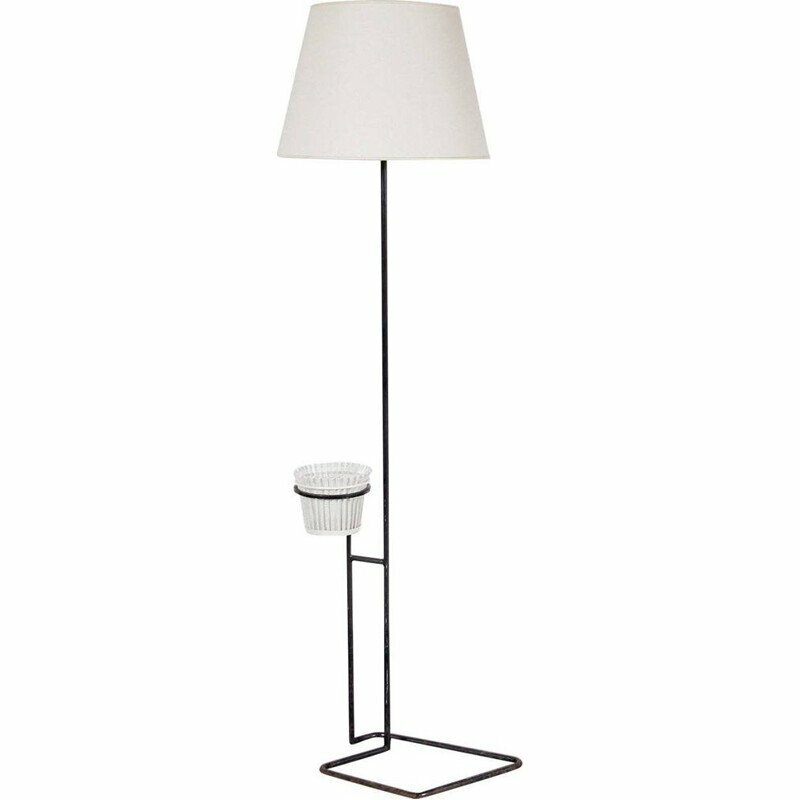 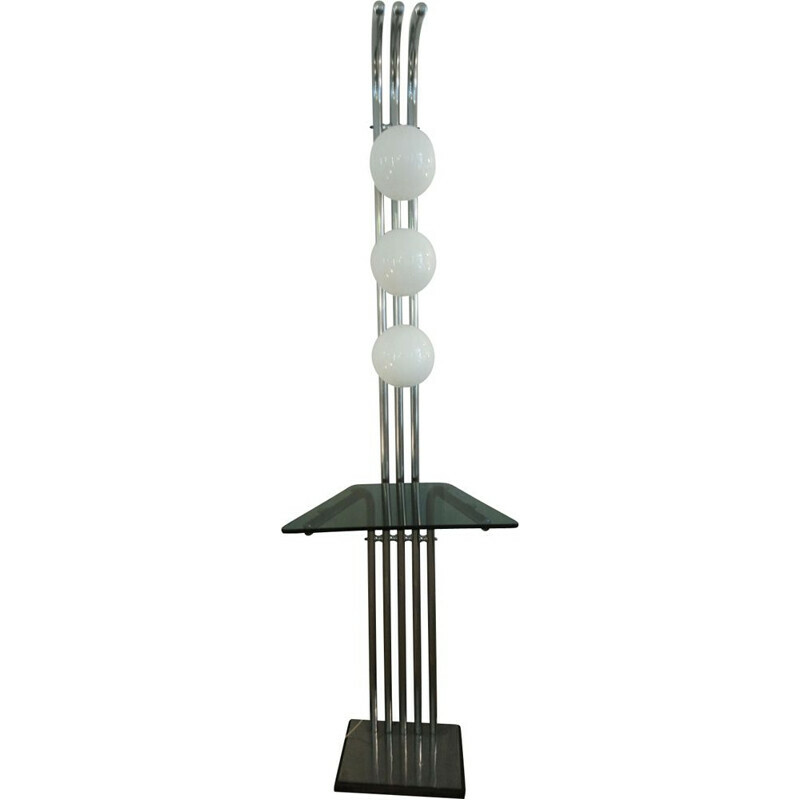 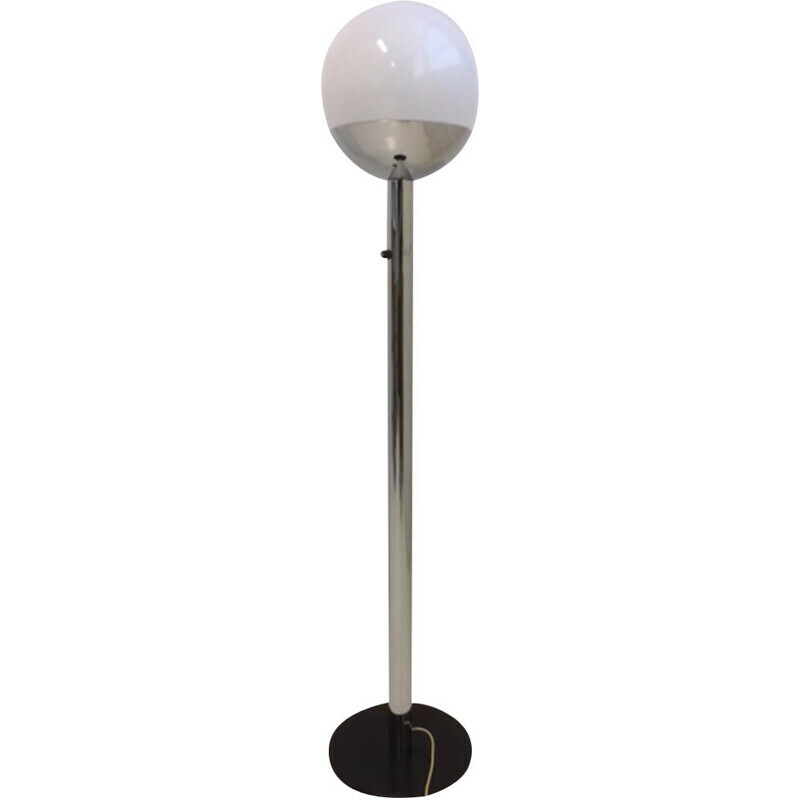 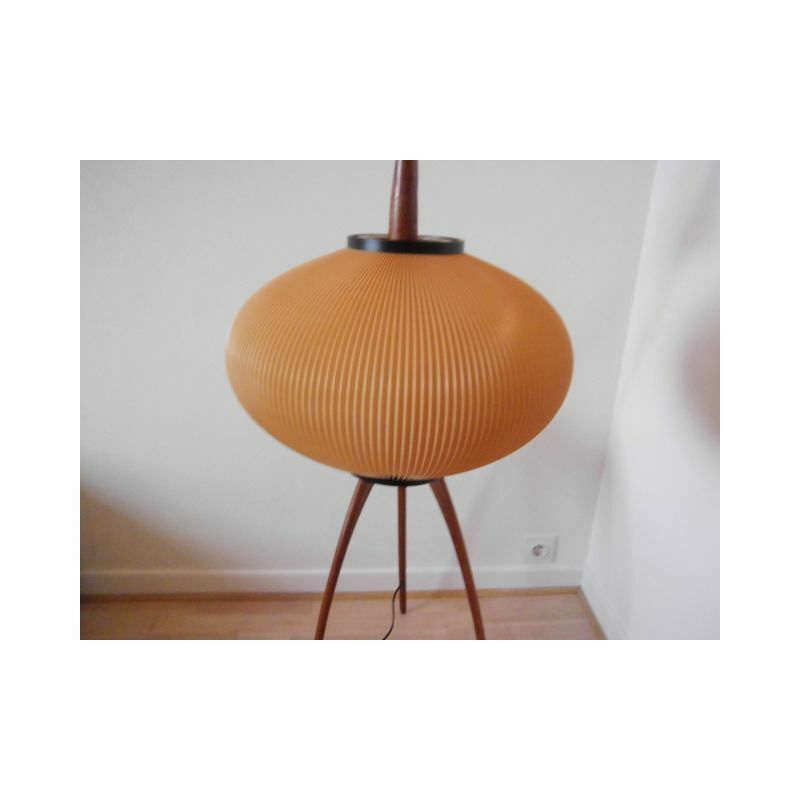 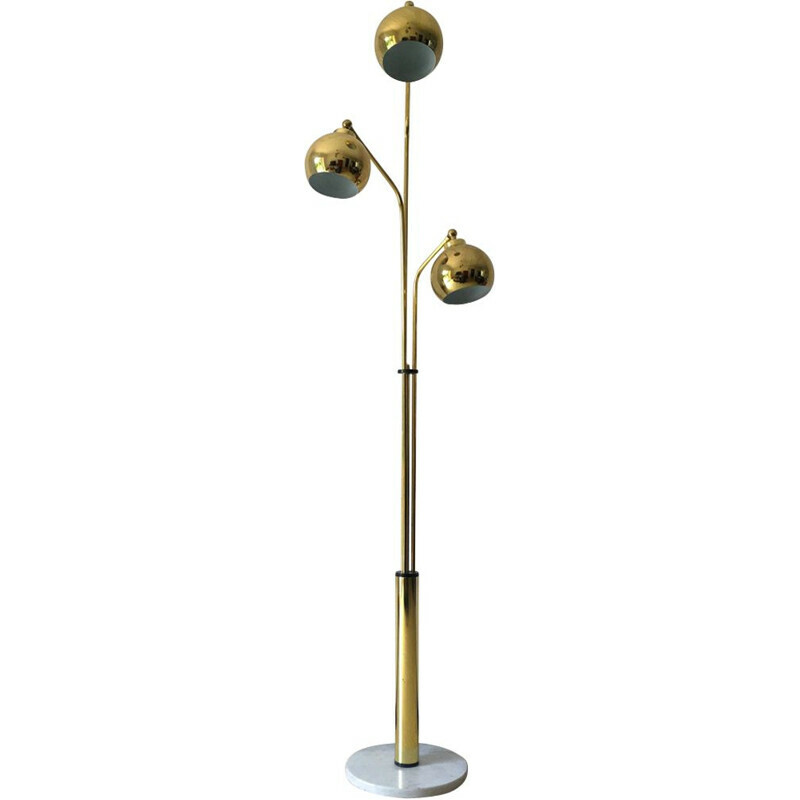 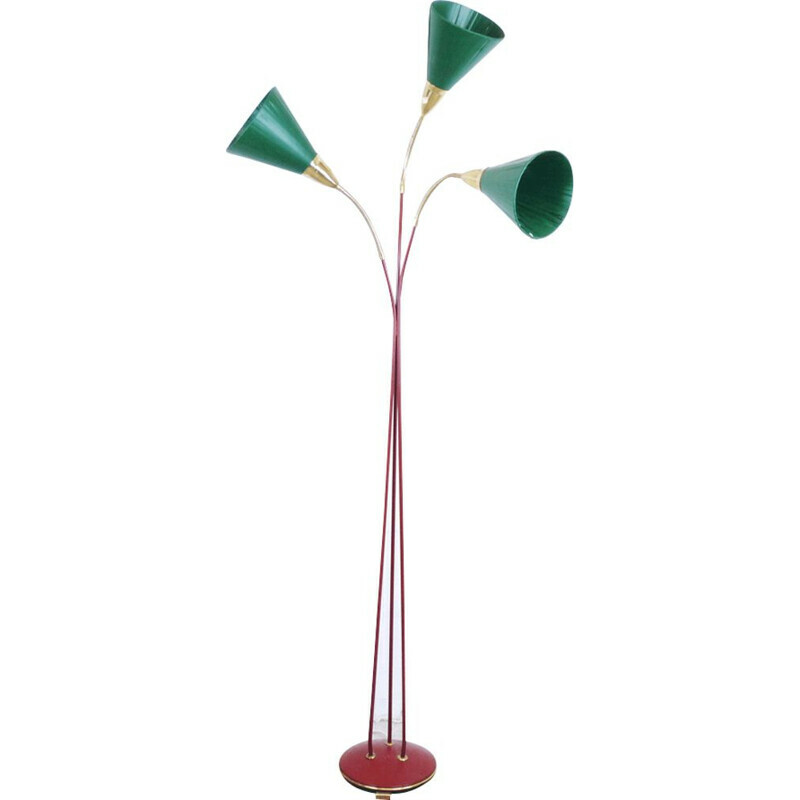 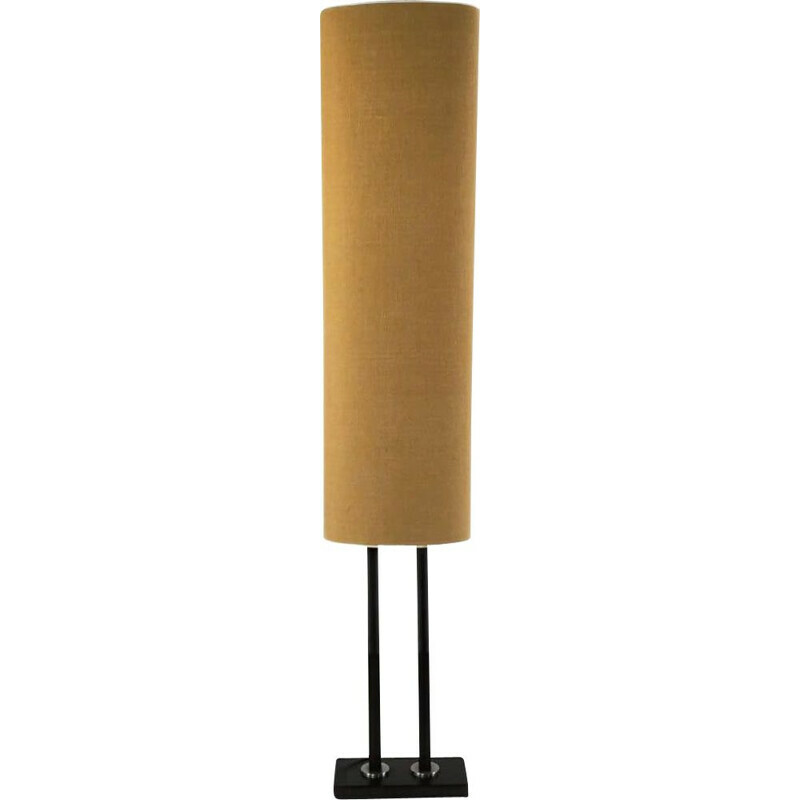 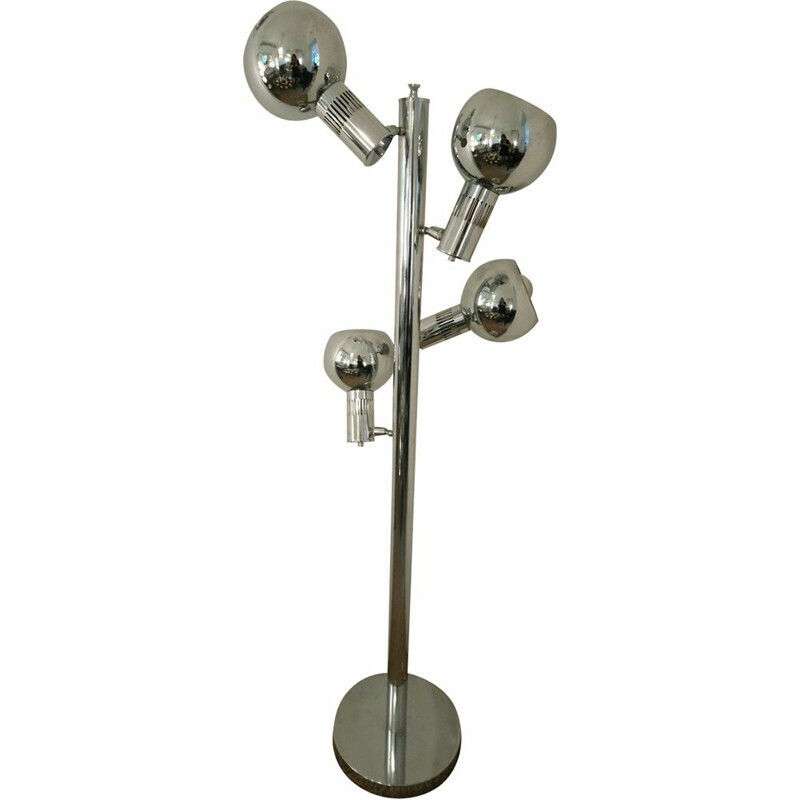 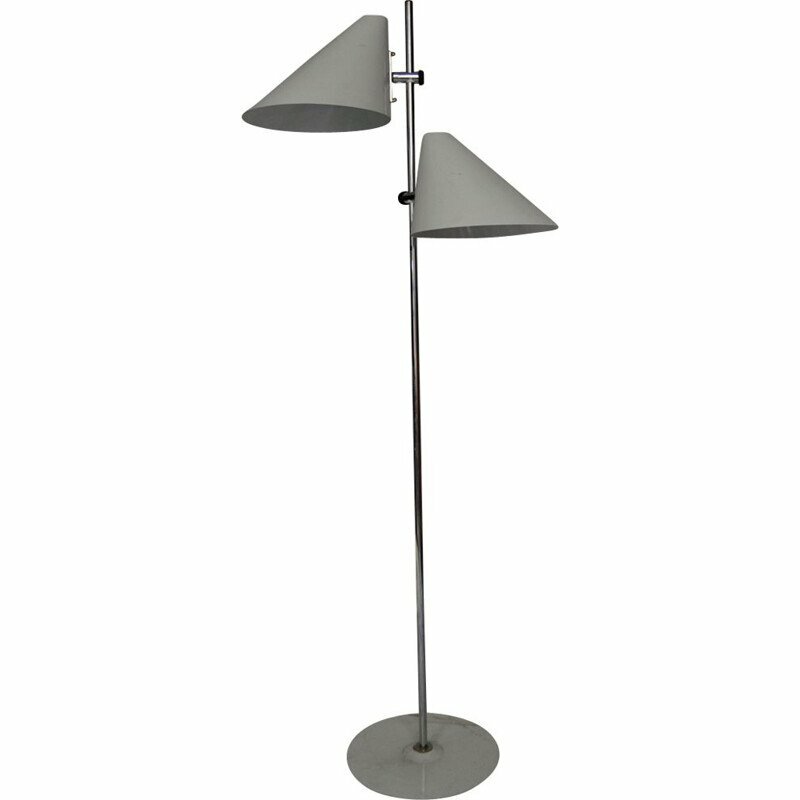 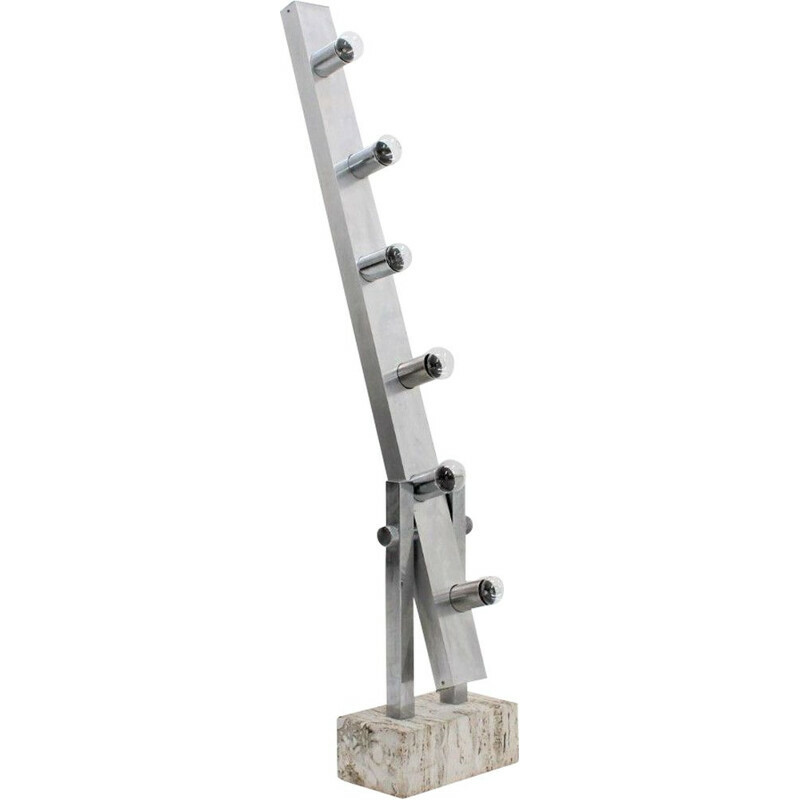 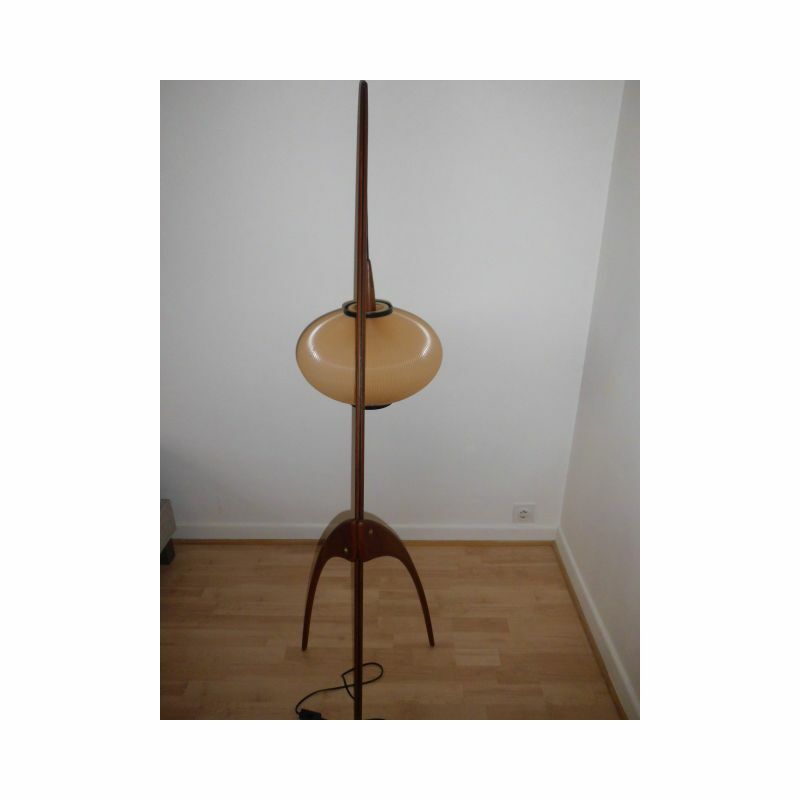 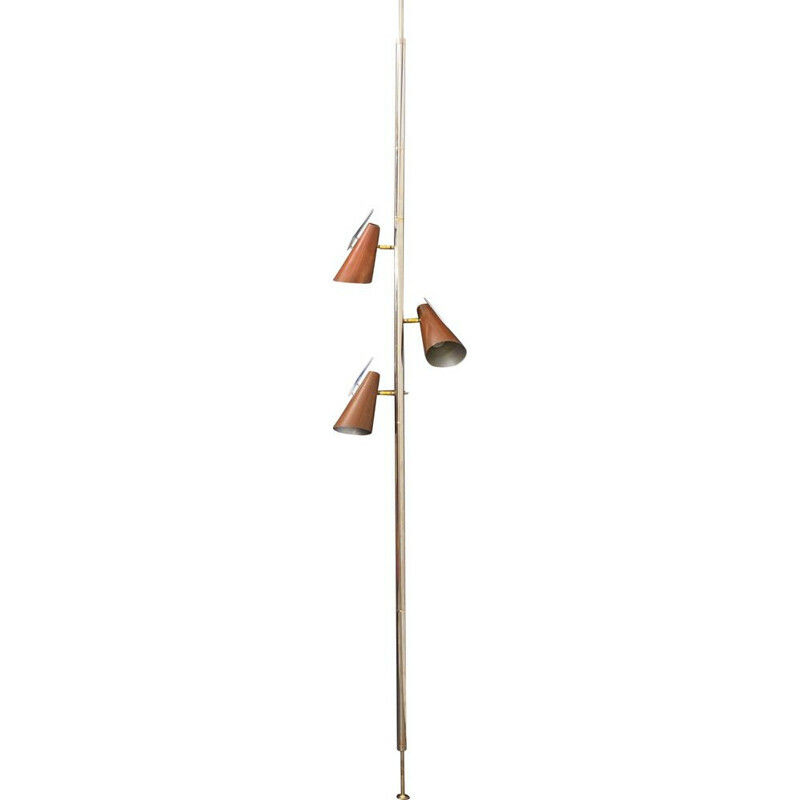 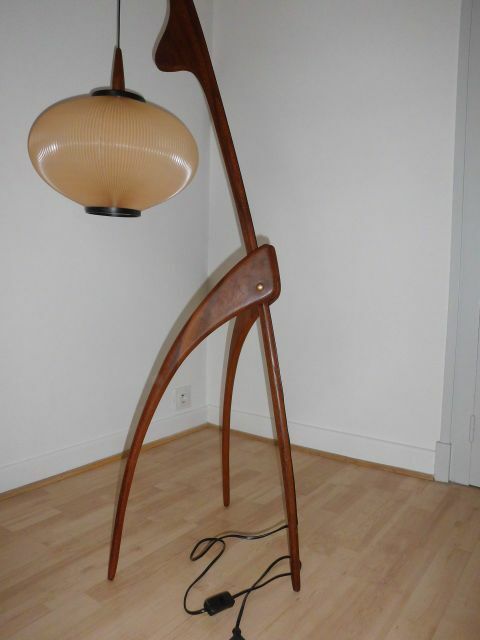 "Mante Religieuse" floor lamp for Maison Rispal in Paris. 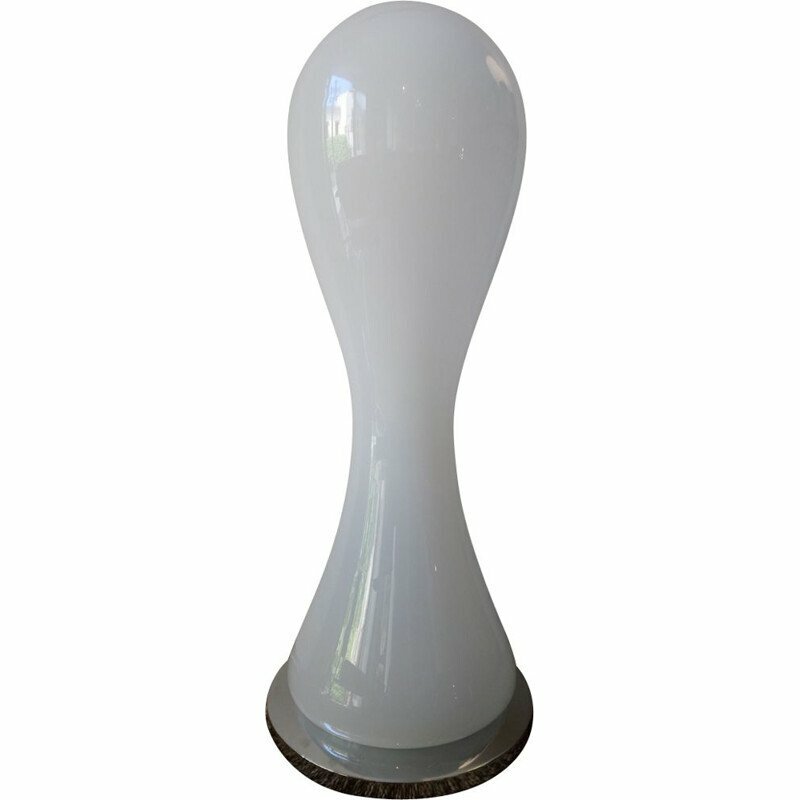 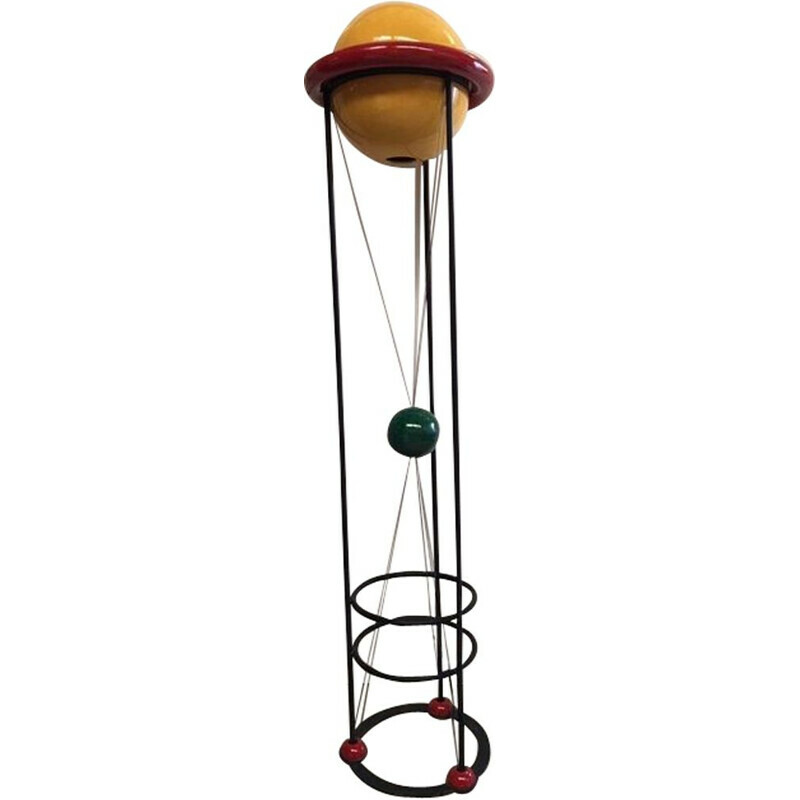 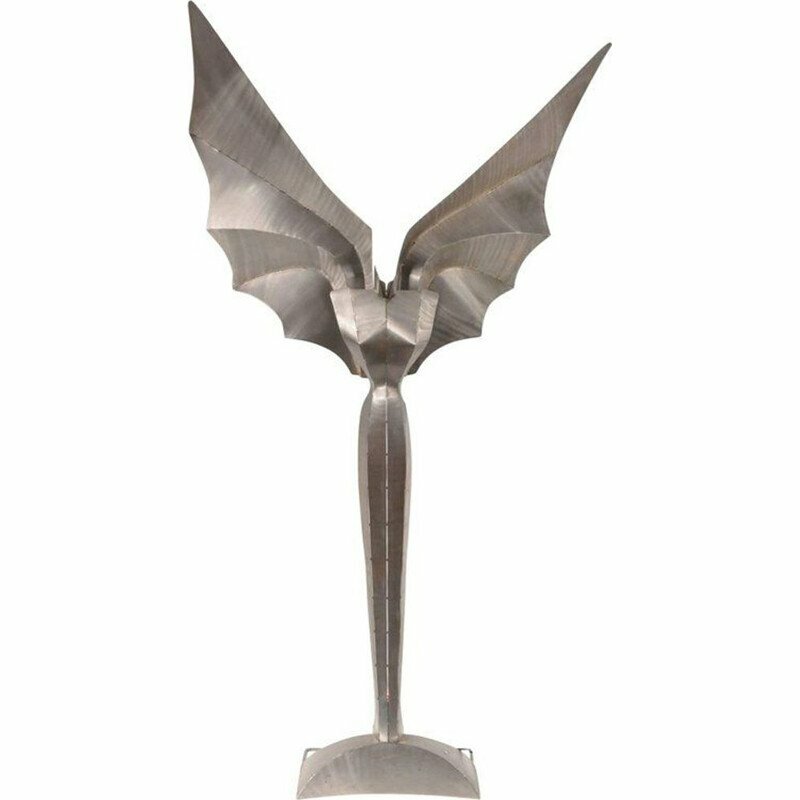 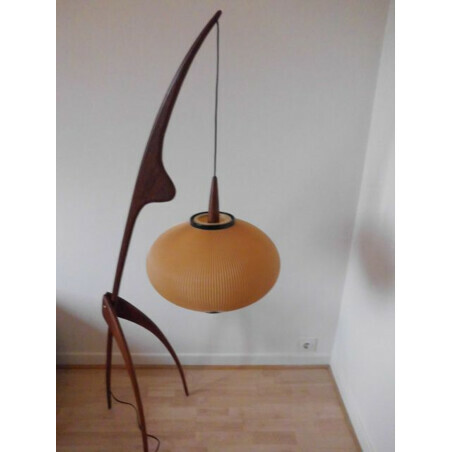 It is inspired by the work of Hans Arp, icon of 20th century for the design. 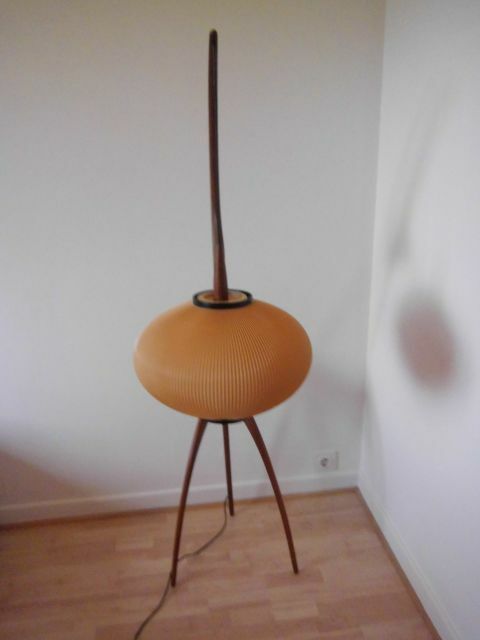 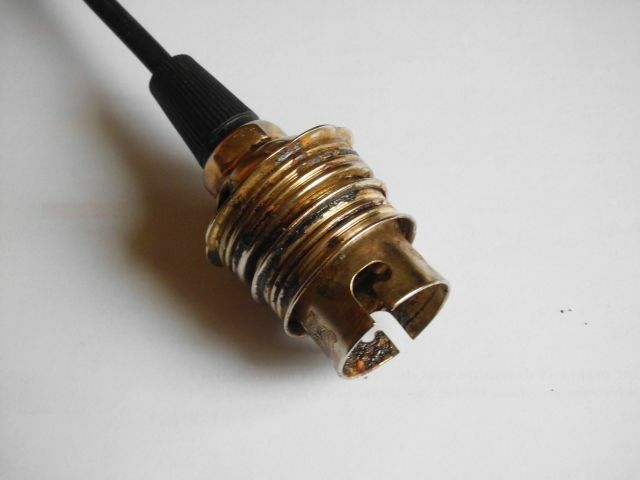 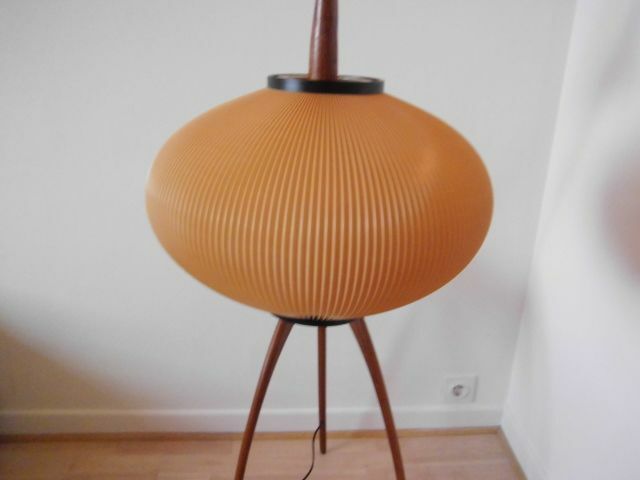 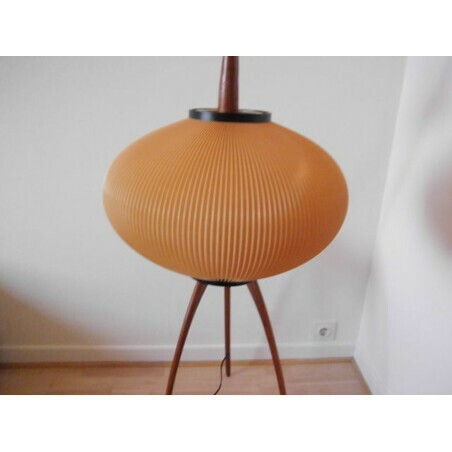 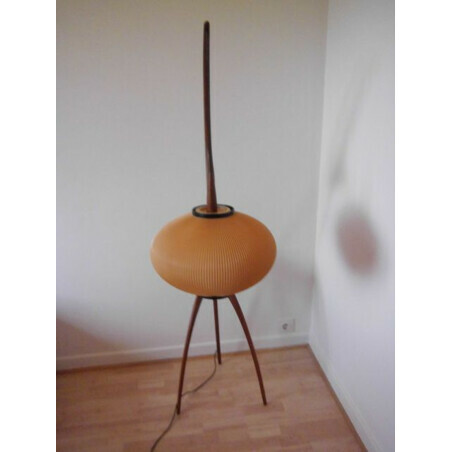 It has an original large lampshade in rhodoid. 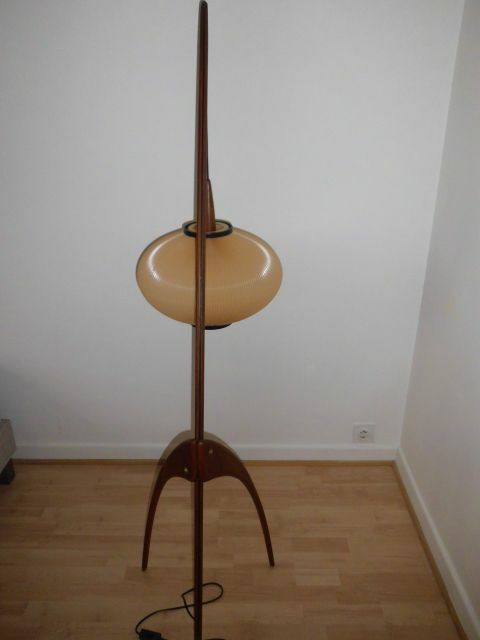 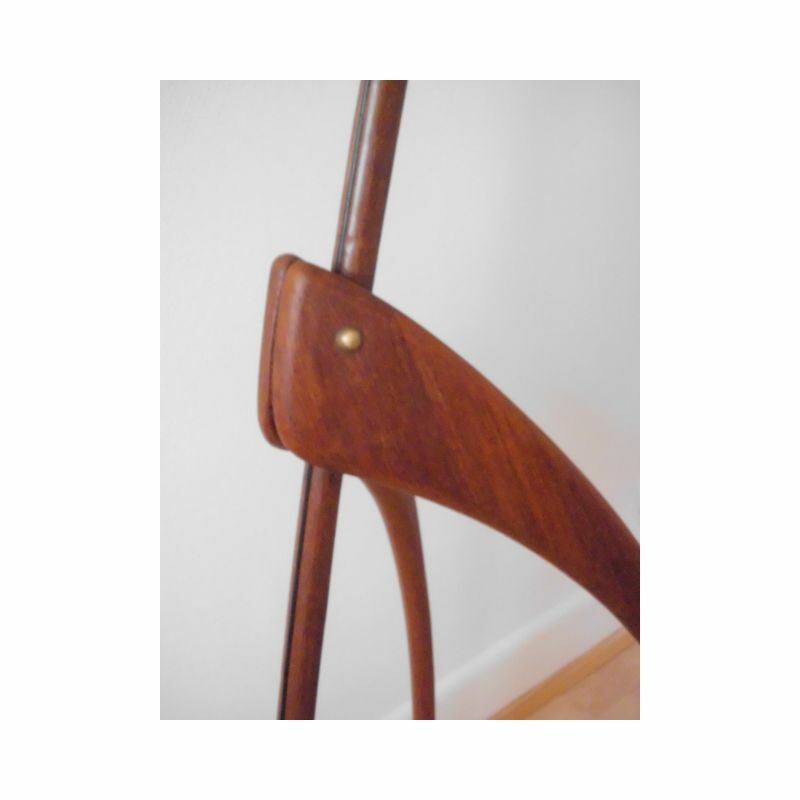 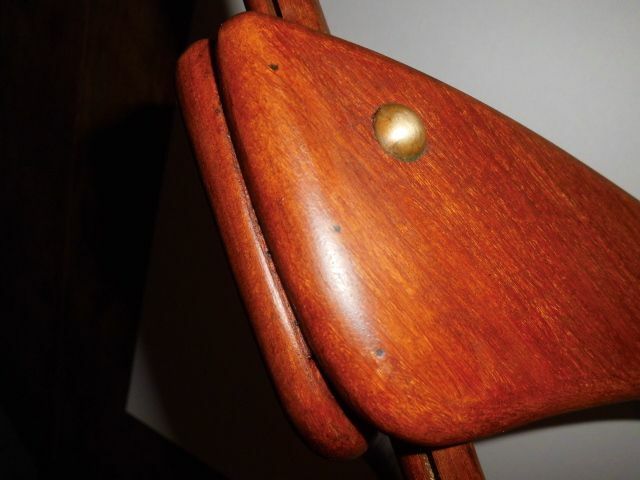 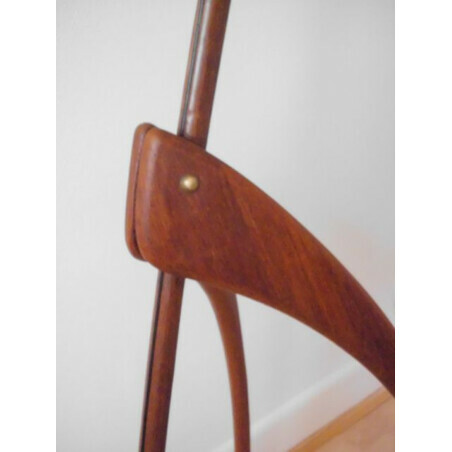 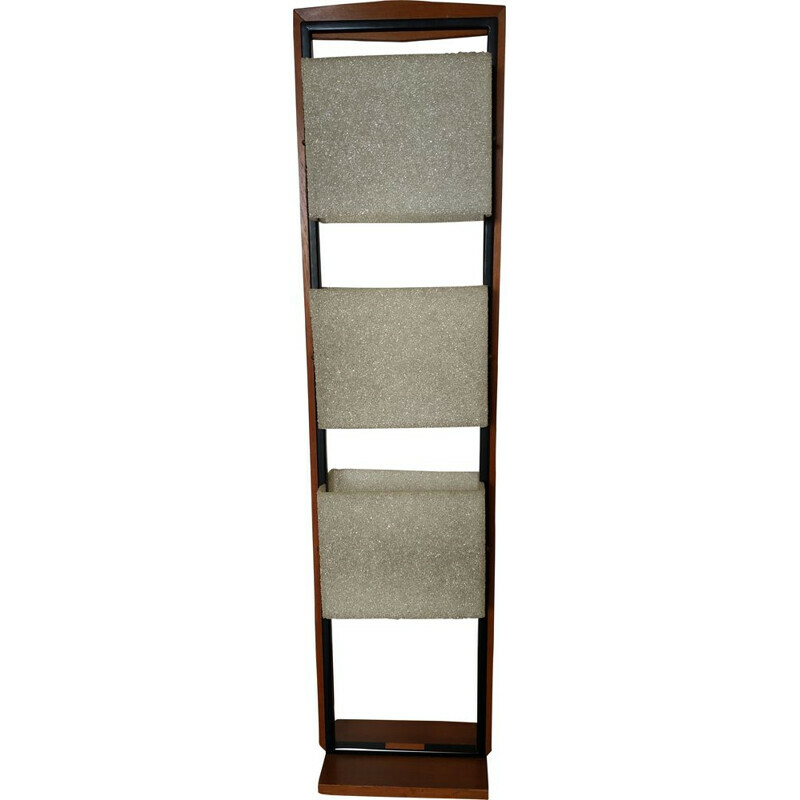 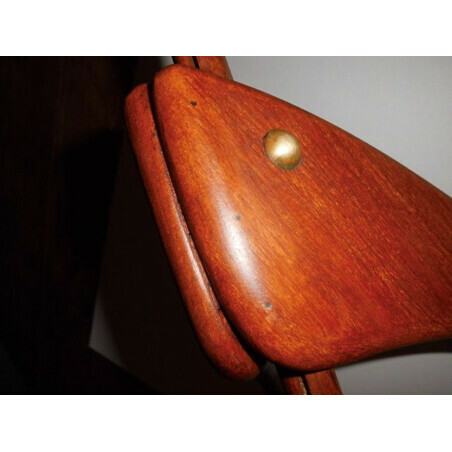 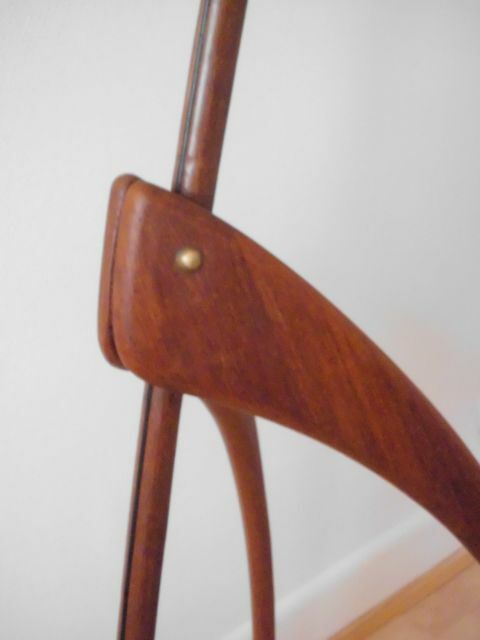 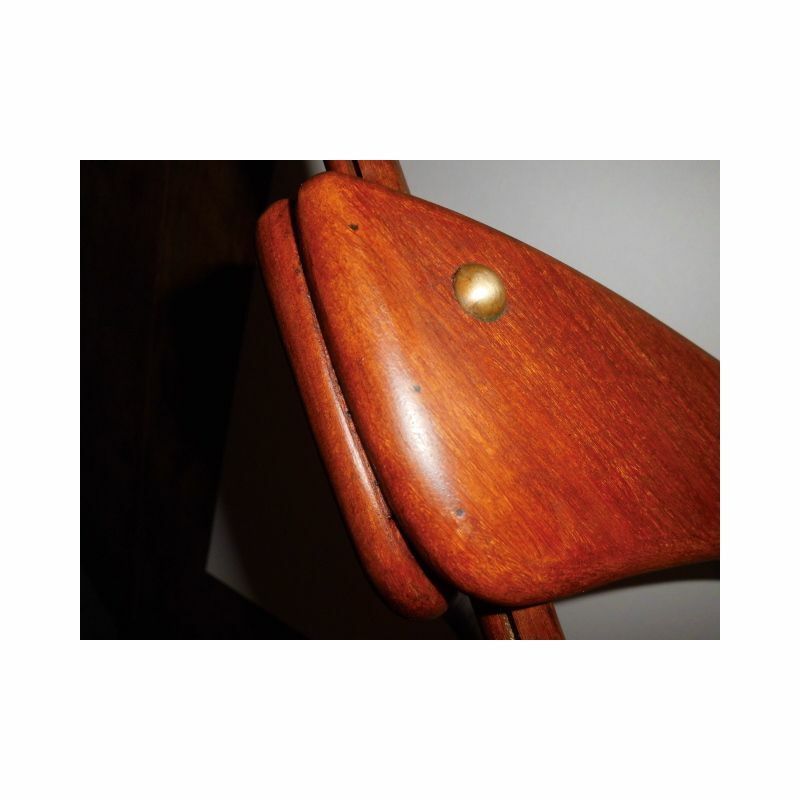 Rispal furniture is a company created in 1924 by Georges Léon Rispal. 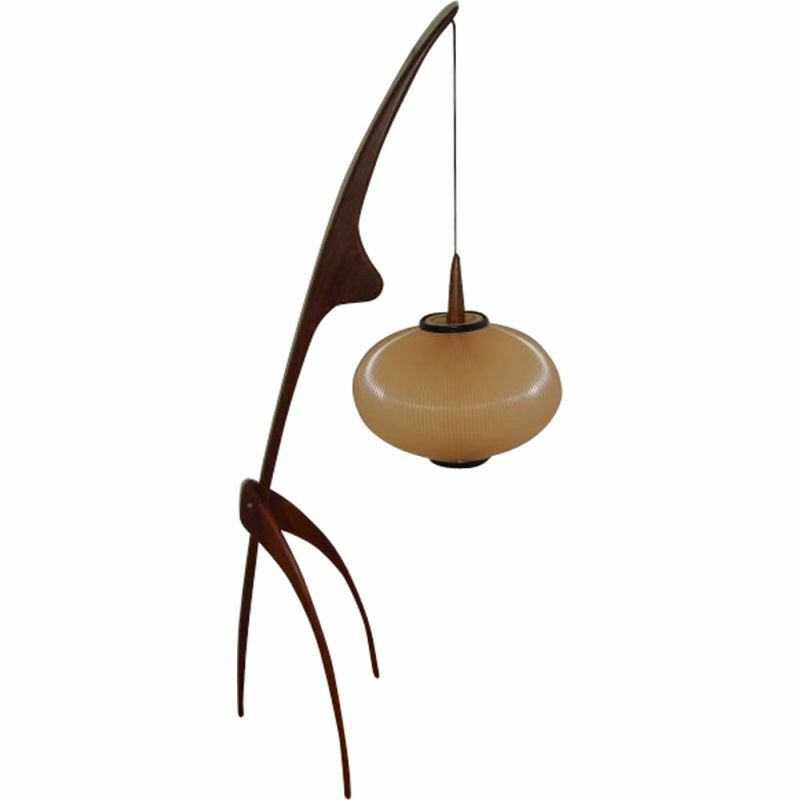 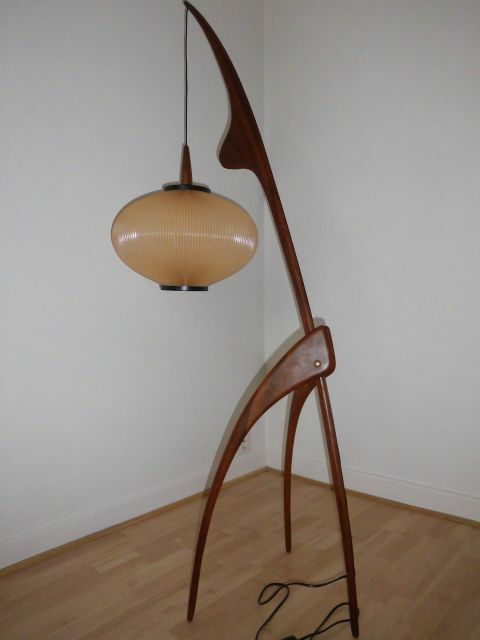 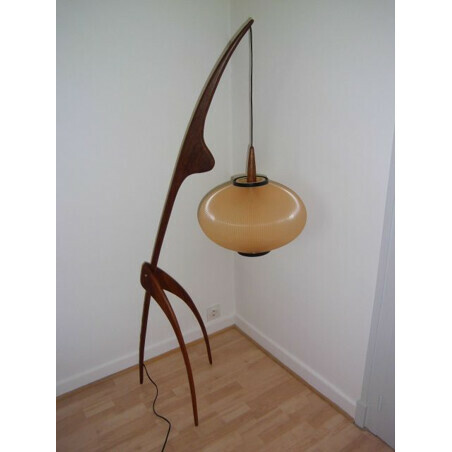 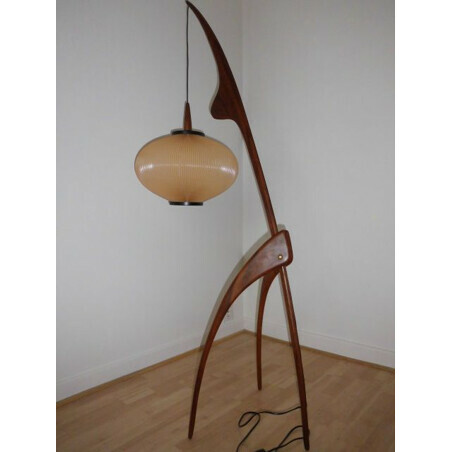 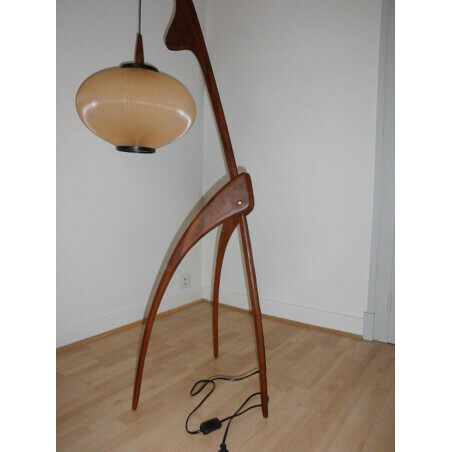 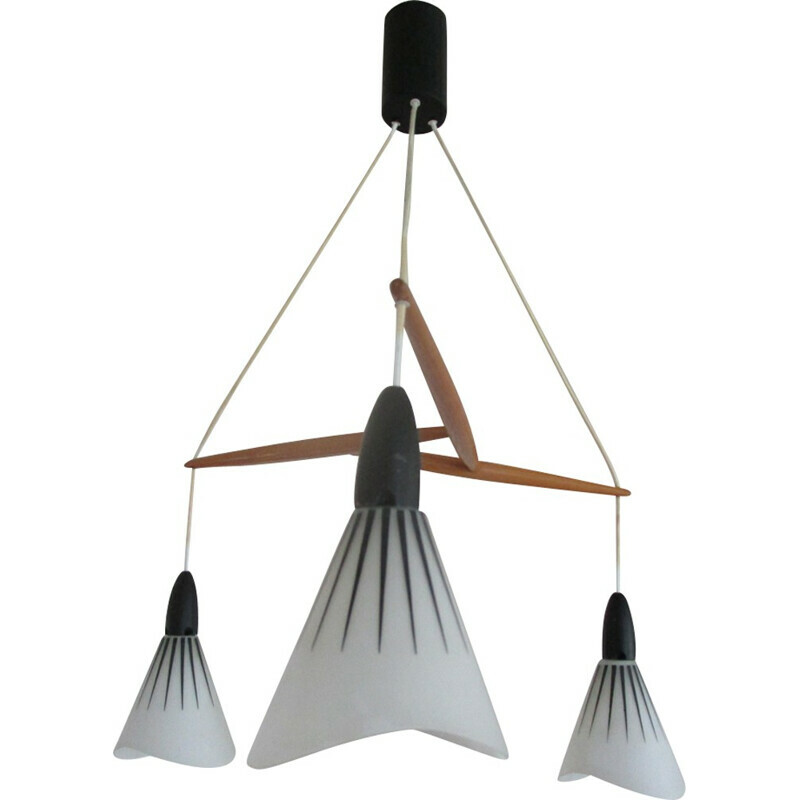 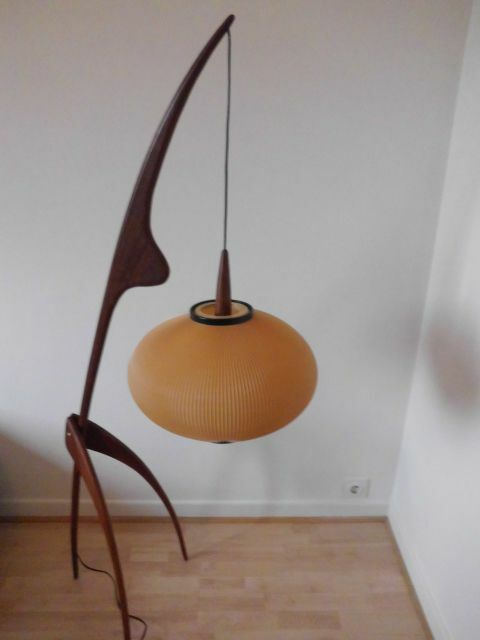 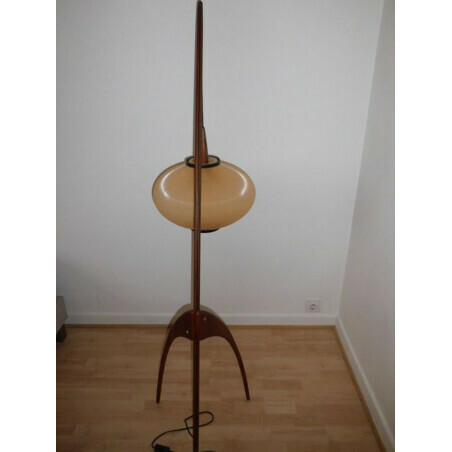 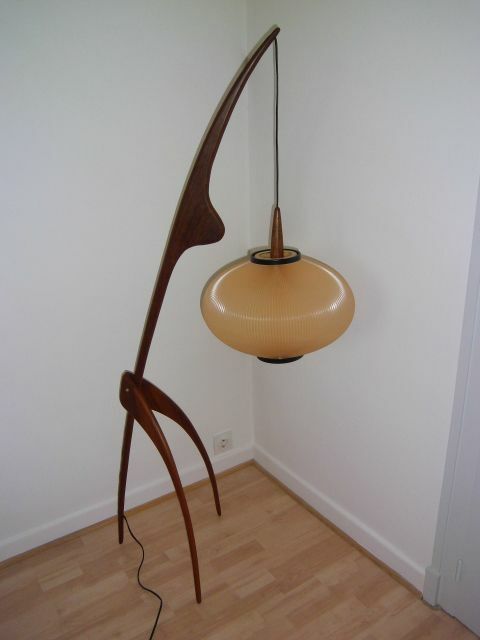 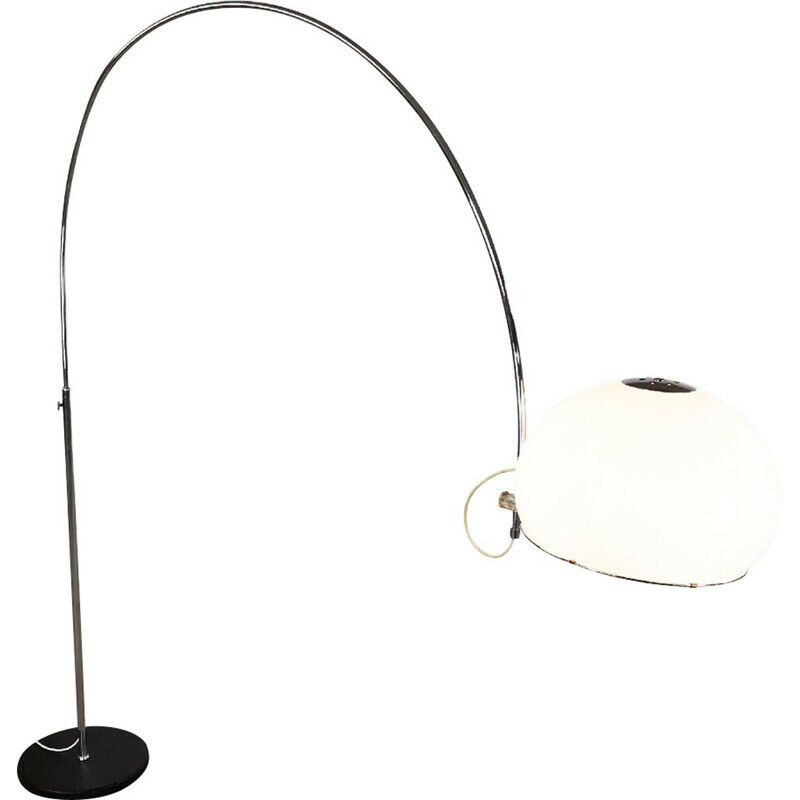 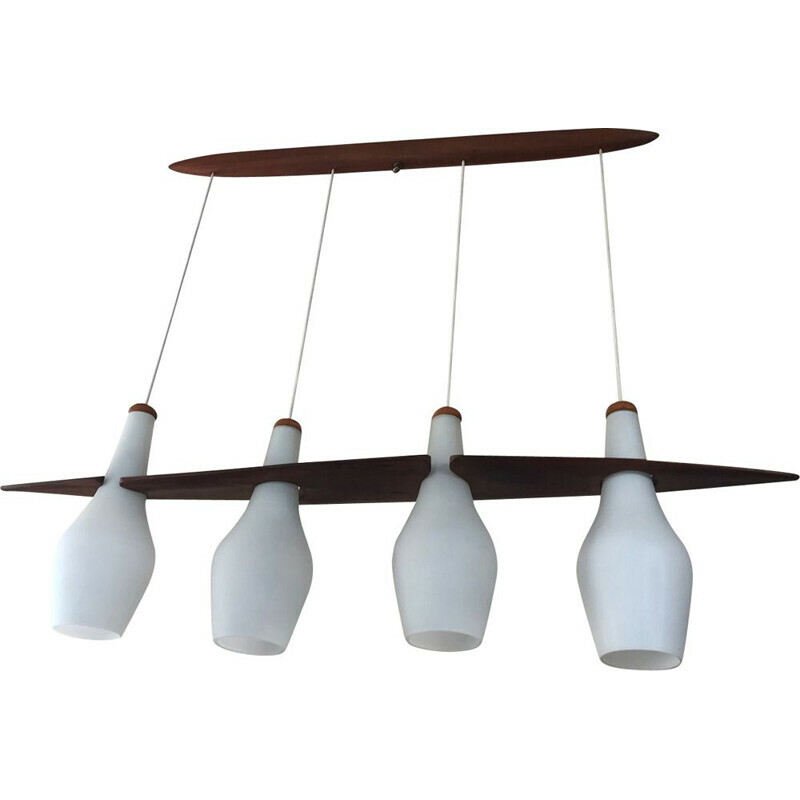 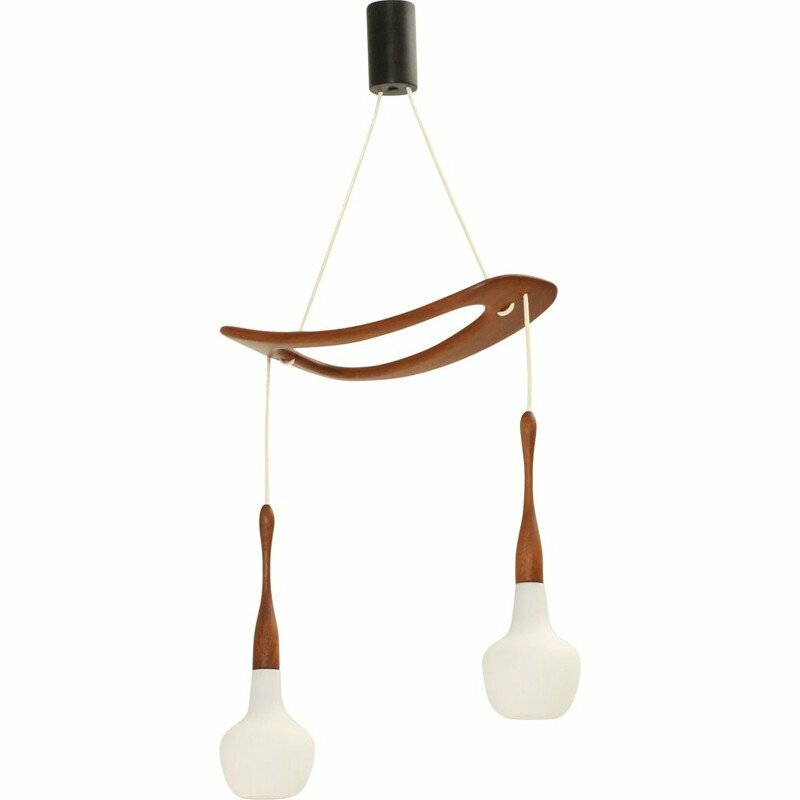 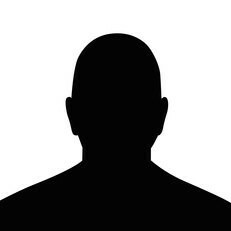 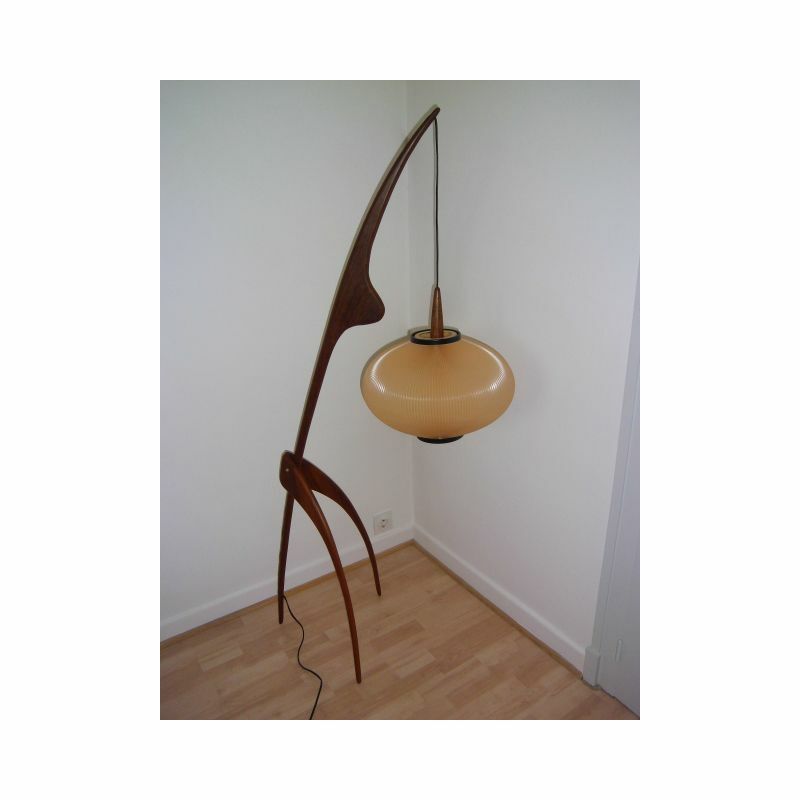 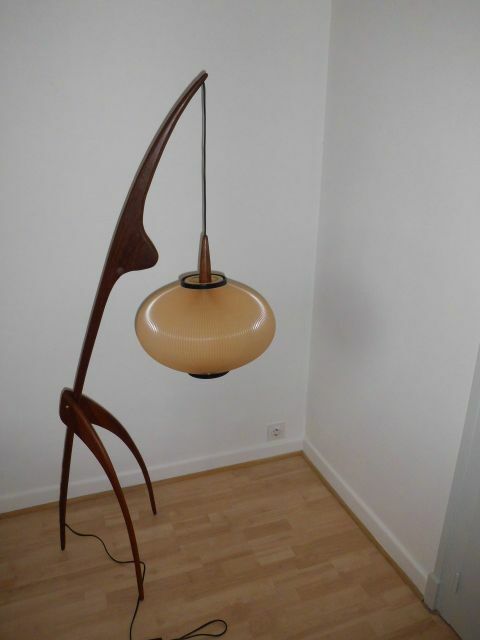 Rispal is a well-known for his work on lightings with organic forms during the 50s.